Here is our lunch today. 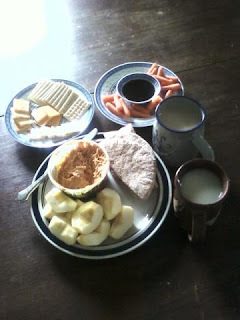 Pita, hummus, fresh apple and carrots, some crackers and cheese, and a mug of tea. Yum!